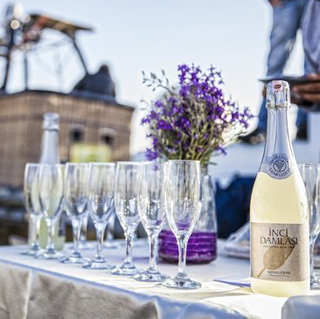 Delight in champagne and canapes over beautiful countryside as our balloon carries you serenely on an Exclusive Flight. We can fly you and your loved ones on a date and place of your choosing. It is not unusual for us to carry two people on a romantic flight with the sole purpose of one of them popping the question. 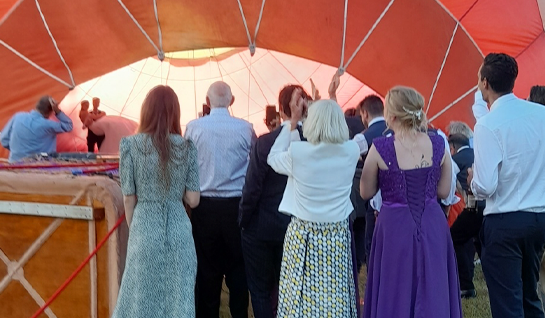 We have flown passengers who, on landing, have been serenaded by music around a bonfire with a BBQ or seated at a delicious dinner in a field or a venue or their choice. If you have an idea we will work with you to ensure a perfect Atmosphere for your special event. 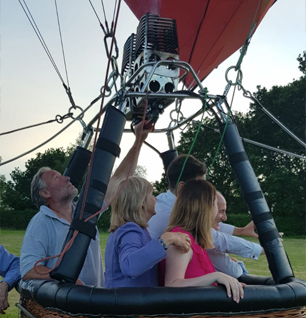 Our balloons have been the talking point of many Special Occasions and we have tethered at Wedding Anniversaries, Graduation parties, Birthday parties, Bar Mitzvahs and other special occasions. The Balloon can be personalised to give it even more Atmosphere.